Sorry it's been dead (pun intended) around here this week! But let's let bygones be bygones and focus on what's really important... it's Halloween! This is arguably my favorite holiday, which says a lot coming from a girl who loves to celebrate. A day that revolves around dressing up? That's any fashion-lover's dream! 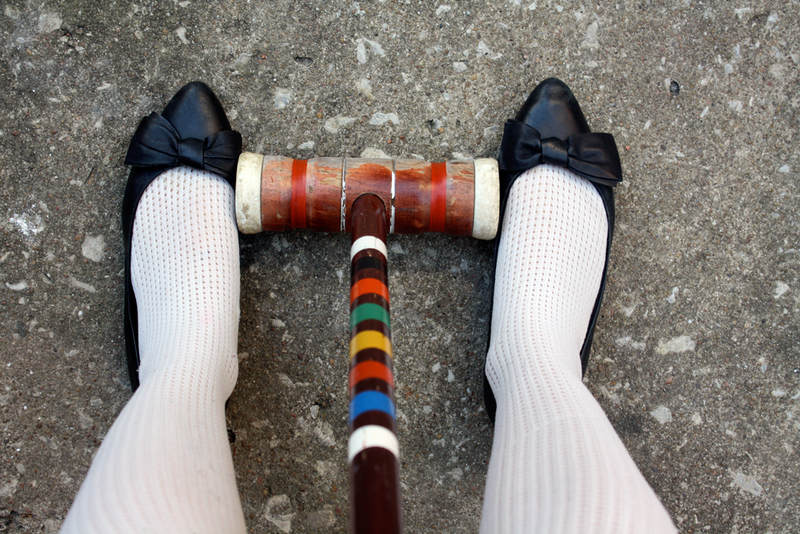 The month-long excuse to indulge in candy and scary movies doesn't hurt either. 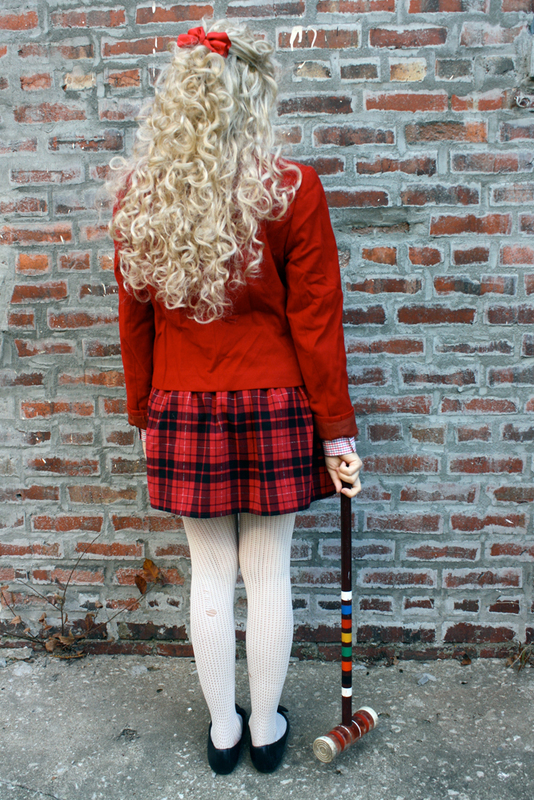 Speaking of movies, I love to dress as film characters, which is just what I did for one of my costumes this year. 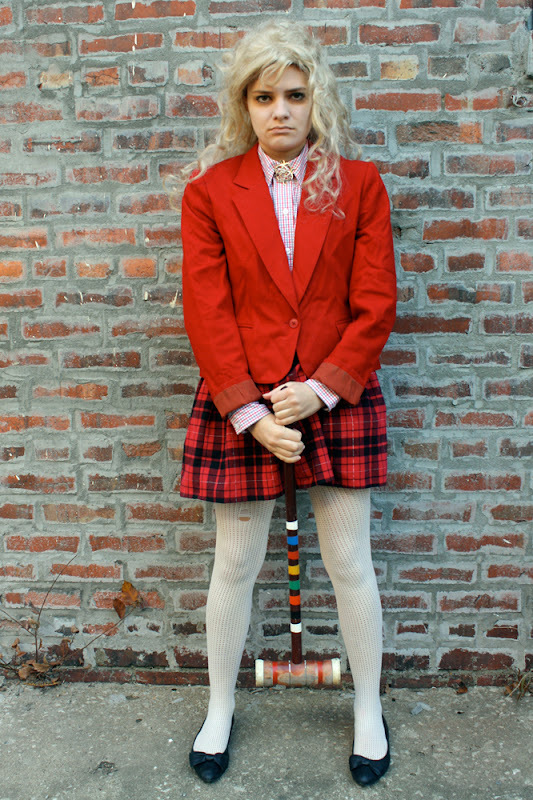 This is my rendition of one of the Heathers from the '80s classic... after she drinks drain cleaner. Rather than trying to replicate an exact costume, I just went for her style, which was easy since she has such a signature look. This was a very easy costume to pull together. 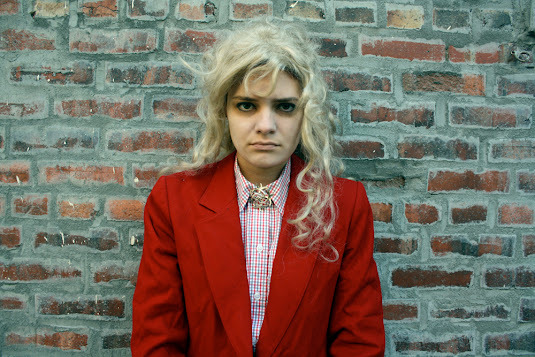 The shirt, jacket, tights, brooch and barrette came from my own closet. 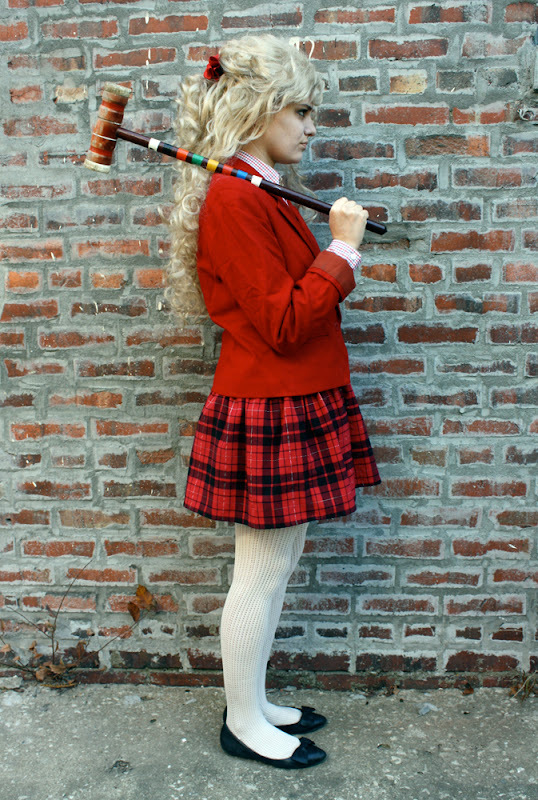 I picked up the skirt, shoes and wig from the thrift store, and I borrowed the croquet mallet. To achieve the dead look, I applied setting powder to my face (the main ingredient is talc, so I bet baby powder would work just fine), put light brown eye shadow around my eyes and covered my lips in foundation. Finally, I happily ate blue Jolly Ranchers throughout the evening for added effect.